Note about stars: We only advertize DVDs we can wholeheartedly recommend. Consequently * (one star) is already recommended and means that we expect to watch it about ten times in our life time. Two stars means we expect to watch it about twenty times. performed by the Choir of Clare College, Cambridge. Timothy Brown, Conductor. ***** Five Stars ***** I'll likely play it fifty times! * Two Stars * I'll likely play it ten times! * One Star * I'll likely play it ten times! ** Two Stars ** I'll likely play it twenty times! Cantatas 179, 199, 113, and a Historic Bach Pilgrimage. The Sacred Cantatas of J.S. Bach have become to me, after the Genevan Psalms, and along with Handels Messiah and Coronation Anthems the most beautiful music in the world. For more than twenty years I have played recordings of several cantatas nearly every Sunday, usually after the morning worship service. And because I want to keep them special I only sparely will listen to them during the week. All the surviving cantatas have been recorded on about 60 CDs and I know of at least four complete editions available on CD. 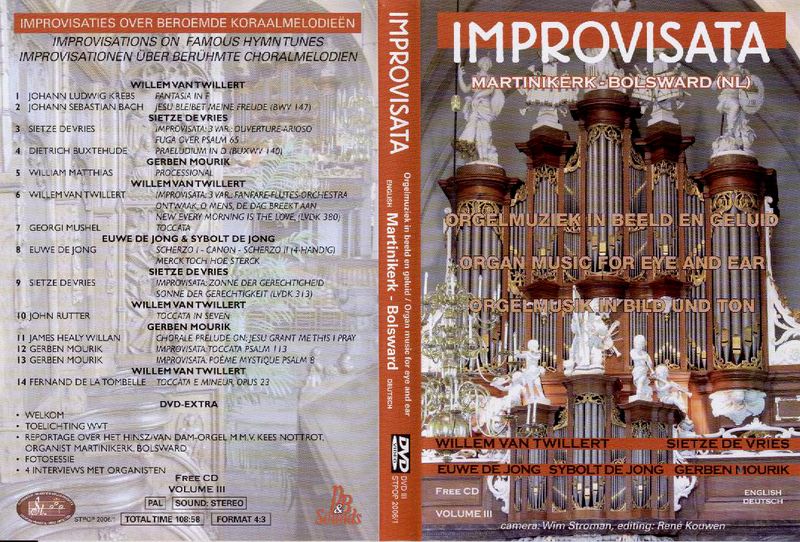 Soon we hope to have a very economical edition (but still very good) for sale again (I have enjoyed that edition for the last eight years, and it cost me at that time about 450 dollars (including many other CDs of Bach), but we can offer it now for less than US$200.00). 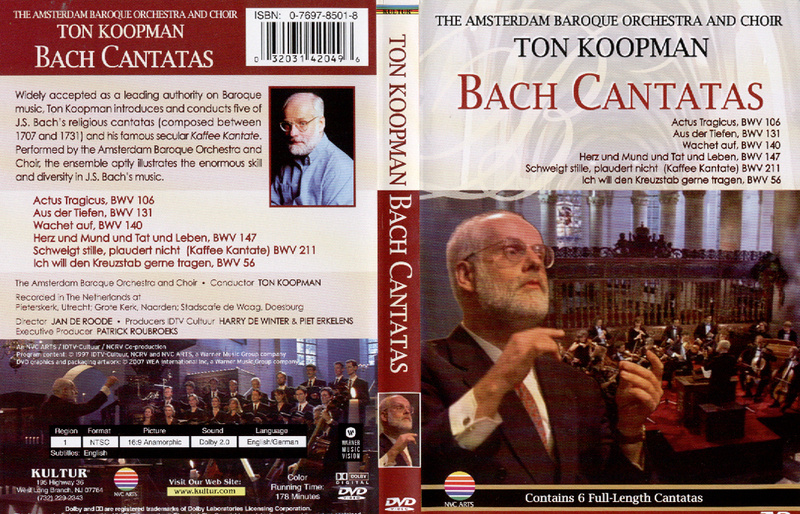 But lately I have gotten a DVD (and soon hope to have plenty of them for sale) of Bach Cantatas performed by the Amsterdam Baroque Orchestra & Choir conducted by Ton Koopman which in every way is very beautiful and impressive. I have watched some of the six cantatas it contains on several Saturday evenings already. It includes the two most famous cantatas, No. 147, which includes the original German version of Jesu Joy of Mans Desiring, and No. 140, Wachet auf. Superb performances. In a scale for recommendation I will give it 5 stars, each star representing about 10 x the number I expect to play this DVD. 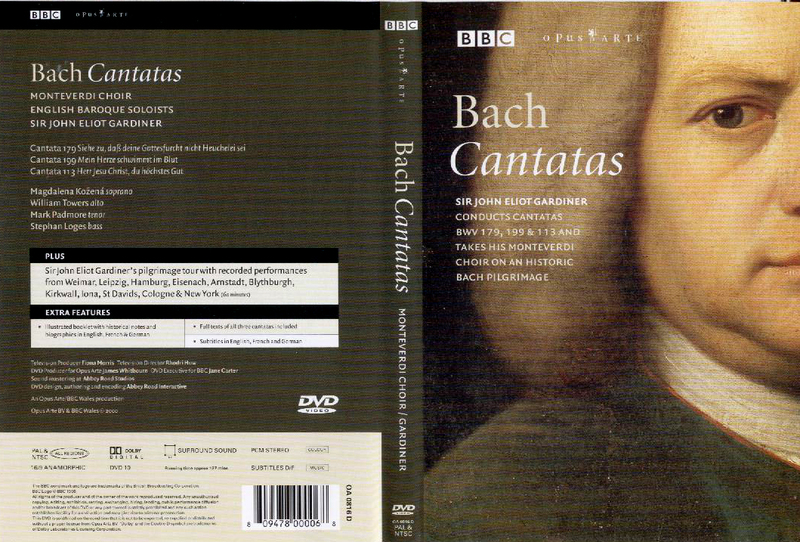 This week, Remembrance Week, 2009, we received another DVD of Bach Cantatas which we have for sale already. I admit having taking a chance on it that it would be good  We only want to promote GOOD DVDs) and my expectation was high when I played it last night. 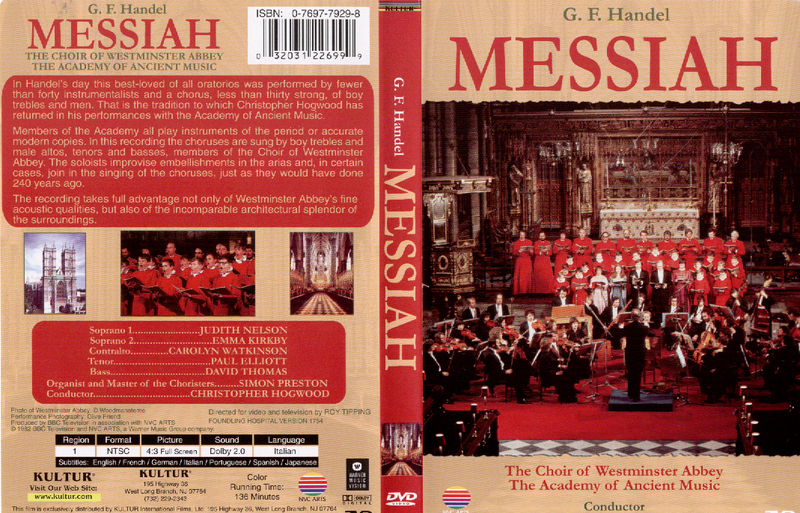 DVD Handel - Messiah  performed by the Choir of Westminster Abbey and The Academy of Ancient Music, directed by Christopher Hogwood. Soloists: Judith Nelson, Emma Kirkby, Carolyn Watkinson, Paul Elliott, David Thomas. Organist and Master of the Choristers: Simon Preston. 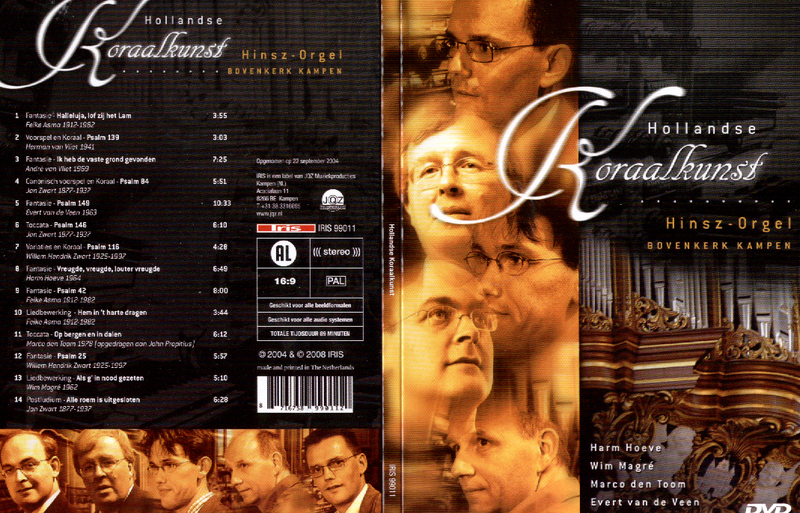 Besides the Koopman Bach Cantatas (of which I did not get any copies last Monday yet  but which should arrive soon as well) there was one other DVD that made me decide to do a major DVD promotion. 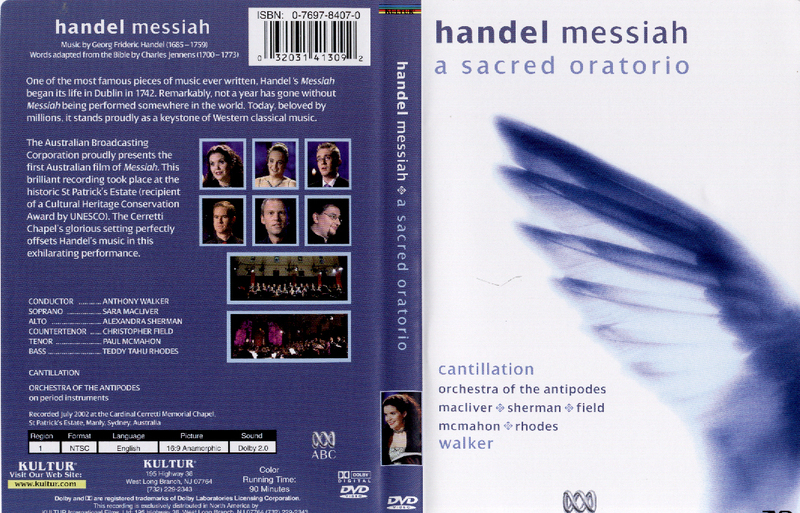 Handels Messiah is a MUST HAVE for any family and there are now many editions available. 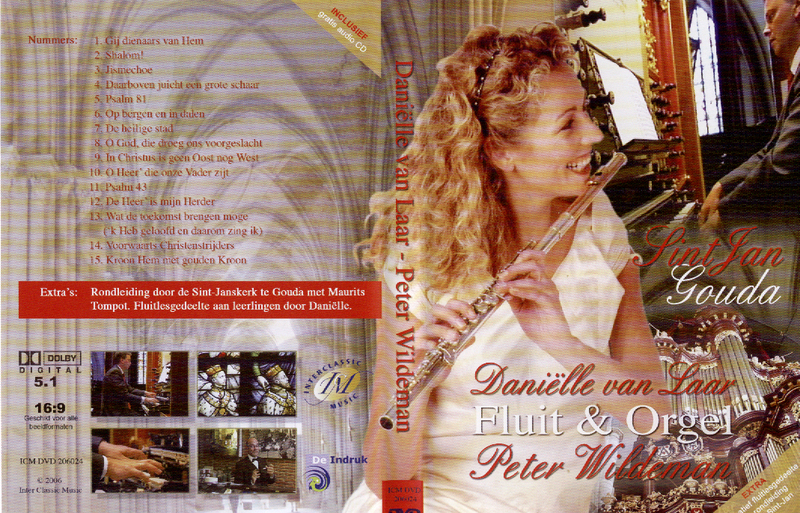 But we want to promote the best one, and my 14-year-old son is an expert on Handel, has evaluated about ten different editions and his favourite is the one that includes Emma Kirkby. 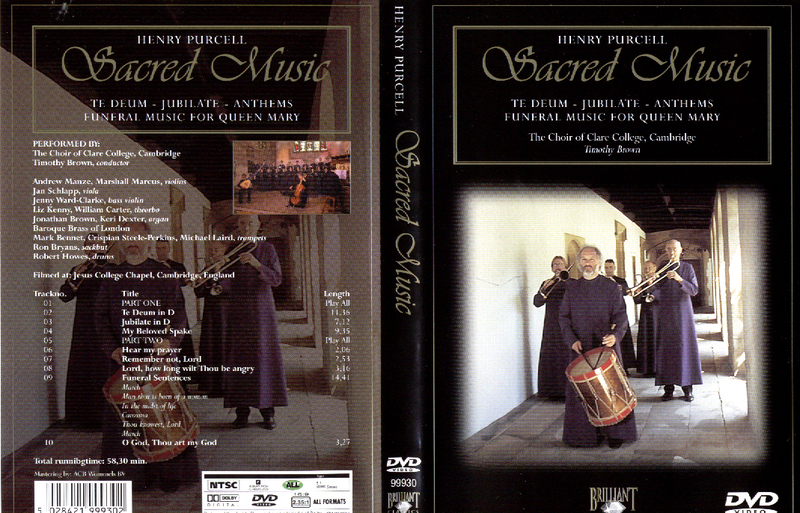 I have had a CD version of this (calling it the Hogwood Edition) for many years and it was also one of my favourites! So we were very excited to find a DVD of a 1982 Performance and have enjoyed it now also on DVD. Dont wait. DVDs like these dont seem to be available for long. For several years we have not been able to sell a favourite version of Handels Messiah, while we had many requests for them. We received a small supply on Monday and when the rest of our order arrives I suspect will have enough for the next six months! 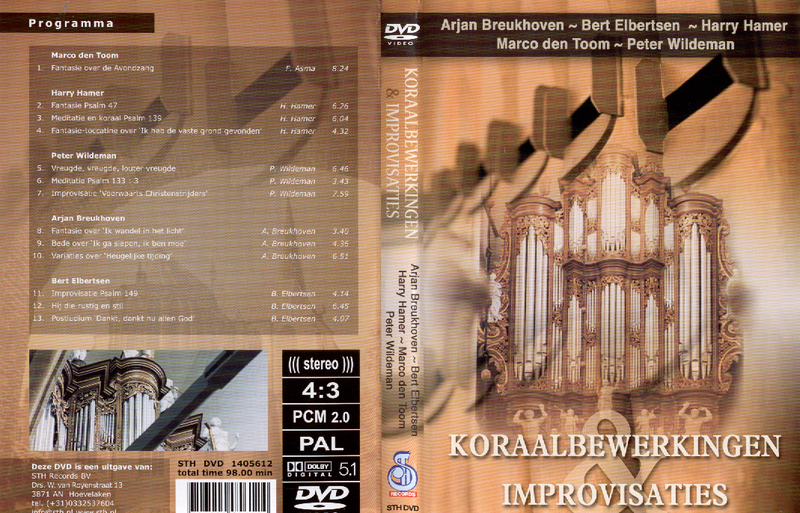 UPDATE Nov. 23, 2009: A LARGE QUANTITY OF THIS DVD IS IN STOCK NOW!!! This is a nice abridged performance for if you do not have time to watch the complete Hogwood edition. Perhaps also nice for beginners! 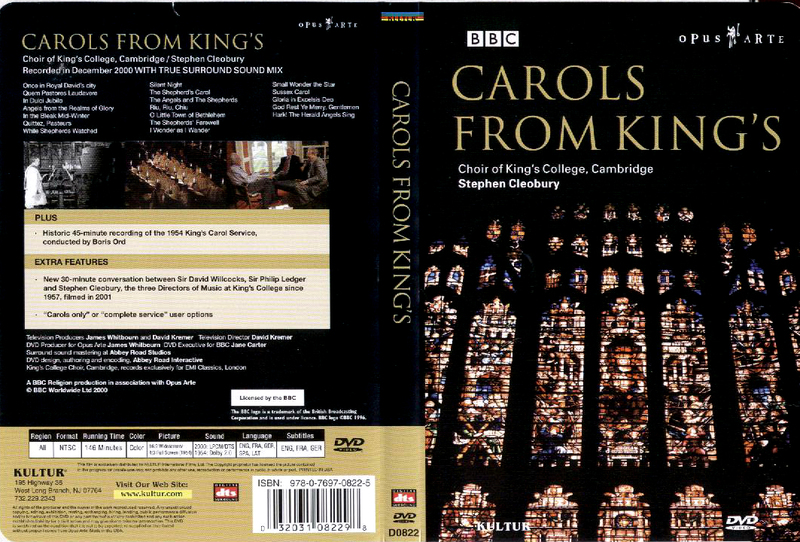 DVD Carols from Kings  Choir of Kings College Cambridge, directed by Stephen Cleobury. Monday night, Nov. 9, 2009, it was getting late, but my 14 year-old-son, (the Messiah expert, who also is a great fan of David Willcocks) did sneak in a preview of this exceptional DVD. 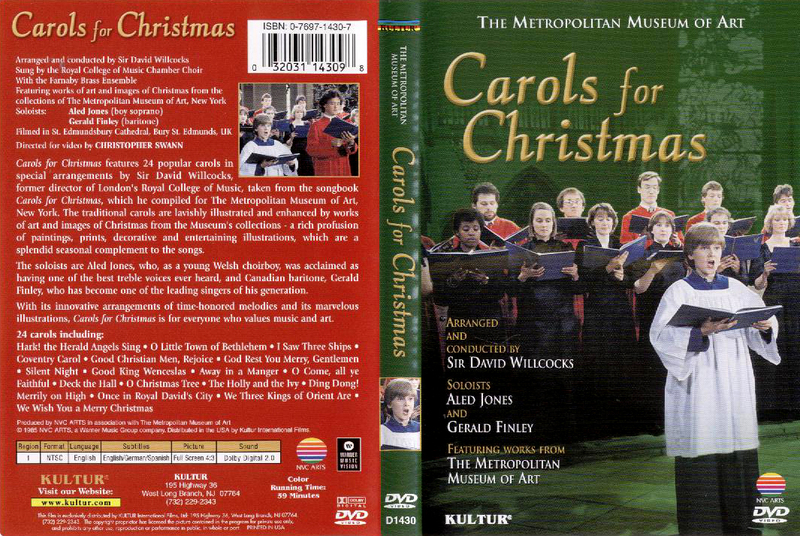 With Christmas Carols there are usually a few questionable carols included and I have not had the time yet to evaluate the whole DVD. But I have seen enough to be very excited about it. 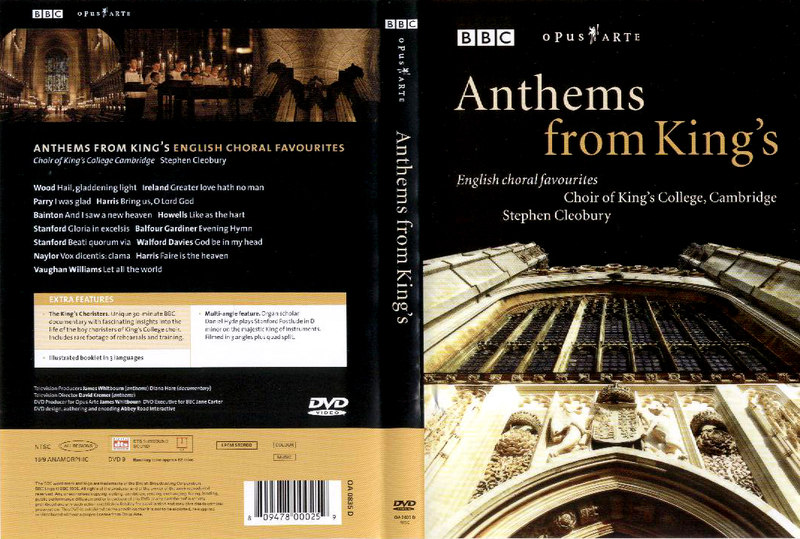 The DVD includes a very interesting conversation of the three conductors of Kings College Choir, Cambridge from 1957 till today: Sir David Willcocks, Sir Philip Ledger, and Stephen Cleobury. This conversation is worth the price of the DVD! Another extra feature is doubly worth the price: a black and white Historic 45-minute recording of the 1954 Kings Carol Service, which after the interview became even more interesting. We only saw the traditional opening carol, Once in Royal Davids City. We have not seen anything yet of the rest of this DVD (which likely will not happen yet since there are still many more DVDs to review). But I will give this one definitely three *** stars since I expect to watch parts of this DVD at least thirty times! I have already mentioned this DVD several times in the earlier reviews. 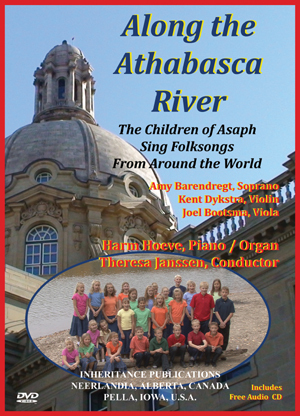 It contains six full length cantatas, five Sacred ones and the Coffee Cantata. All that I have seen of this DVD is VERY IMPRESSIVE! 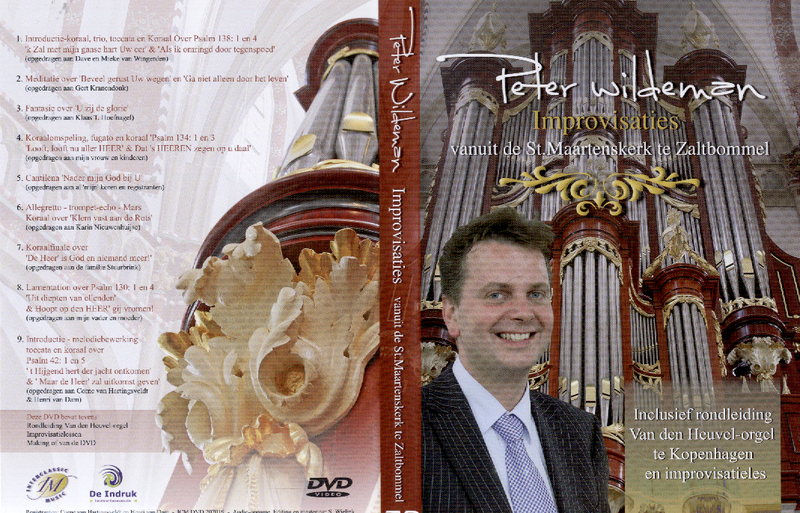 This is the kind of DVD that can make anyone into a BACH FAN! I cant get enough of the third cantata (Wachet Auf) and have watched most of it already three times and still want to see it again and show it to others. As you may have noticed, in our family with nine children there is no generation gap. All our children love the Psalms! All of them love Handels Messiah. And also this DVD can be watched by all ages many times. And never will parents get tired of this music. Before we had children I often trembled when thinking of the many families where children listen too bad music, and am sure God never approved of that, even of most of the so-called christian contemporary music. If you teach your children to listen to good music they will likely never depart from it! 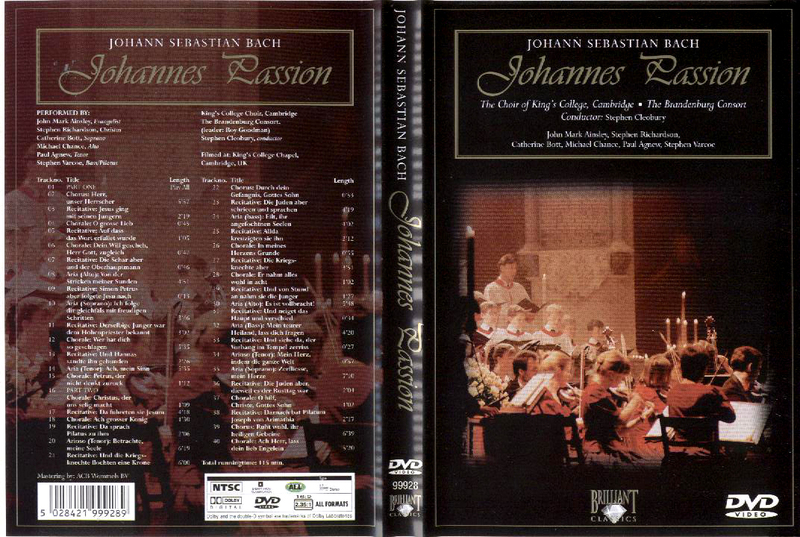 Watching the Orchestra, Choir, Soloists, and Conductor on this DVD is a treat that I daily find hard to resist. We do not have the time for watching many DVDs, and especially because of that treasure the very best and enjoy it. Will you too? Get it before they are discontinued (the most frustrating thing for us as distributors of books and music!). 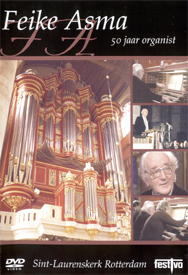 With some caution we recommend this DVD to seasoned Choral listeners. Beginners will be disappointed. This is a high quality performance of mostly 20th Century Anthems. 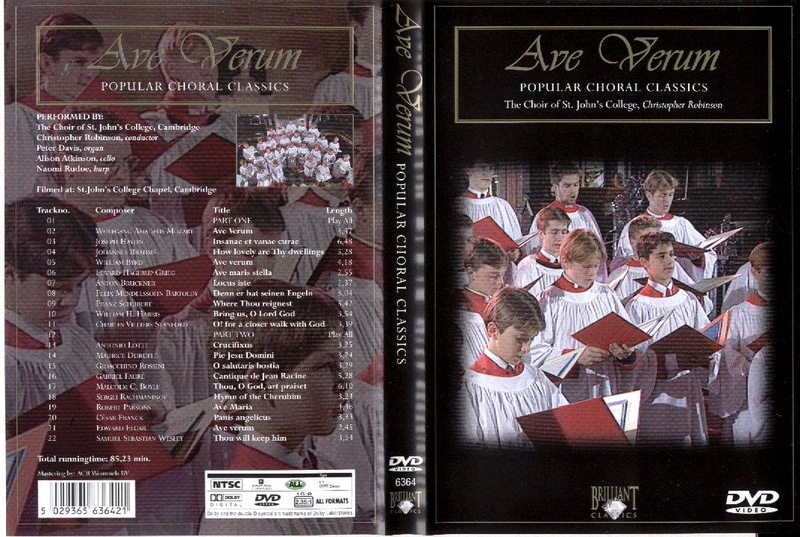 A very interesting bonus on the DVD is a unique documentary with several of the boy choristers, the conductor, parents, and others. 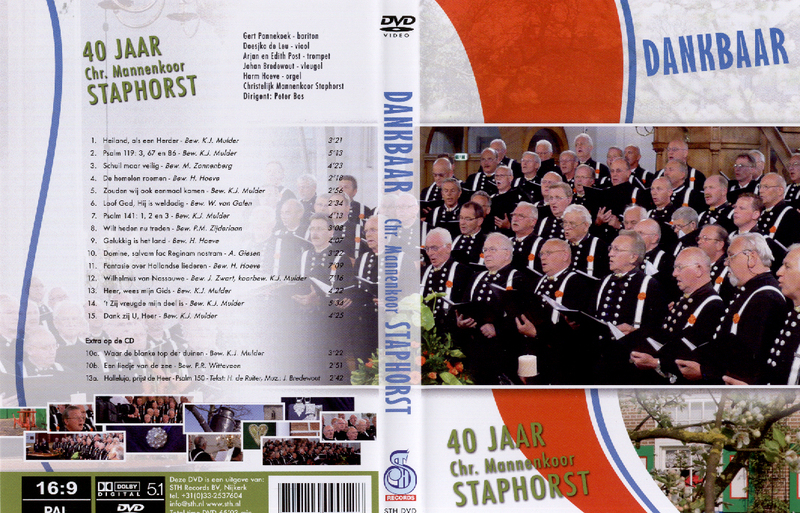 a third DVD with bloopers and the making of the DVDs. However, please ask for it! 119:1, 4, 13, & 40; 24:1, 2, & 5; 144:2 (Strings & Baritone); 84:1-3; 55:1, 2, & 9; 71:1 & 8; 138:1-4. 17. Swing High; 18. This Land is Your Land; 19. William of Nassau; 20. Our Gracious God. 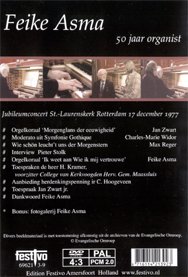 On Saturday December 17, 1977, Feike Asma played for 2000 people in the Laurenskerk at Rotterdam. 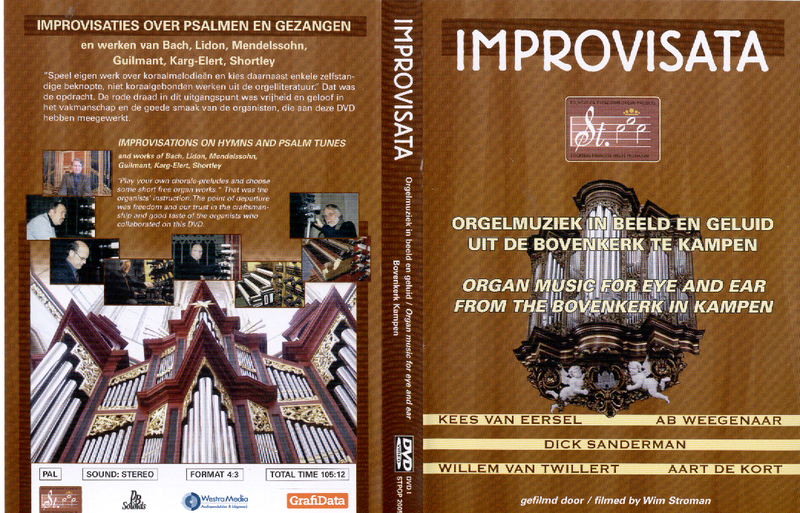 Besides the music there is an interview with Asma and an adress of Jan Zwart jr. 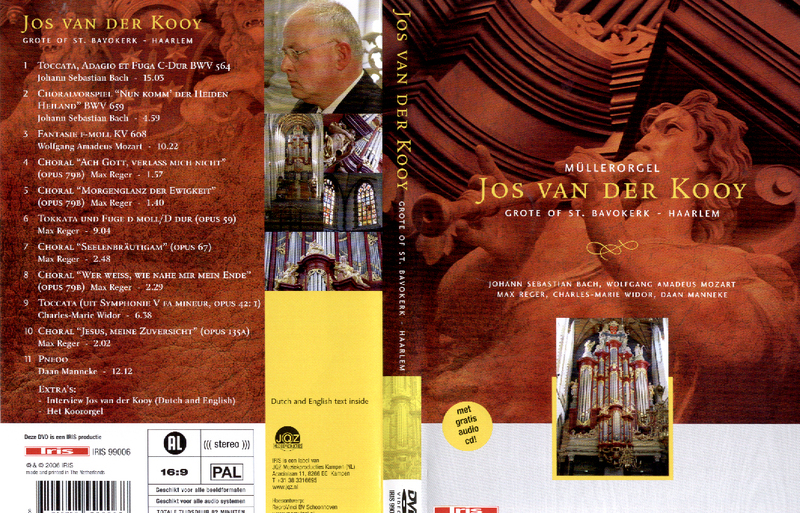 The program includes works by Jan Zwart, Widor, Reger, and Asma. 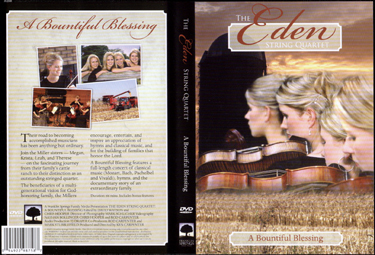 The Miller sisters perform a full length concert of Classical and sacred Music and can be also seen behind the scenes in a documentary about their family farm. 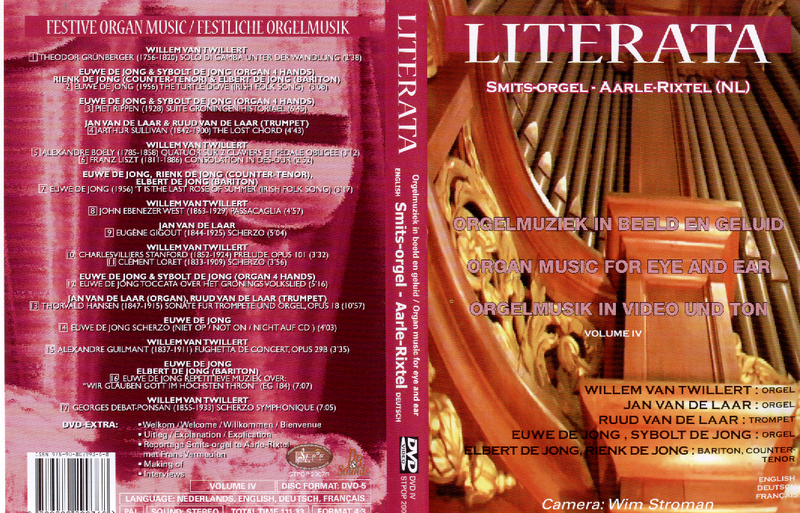 With this DVD a FREE Compact Disc is included with the same program. Feike Asma at the Oude Kerk Amsterdam. 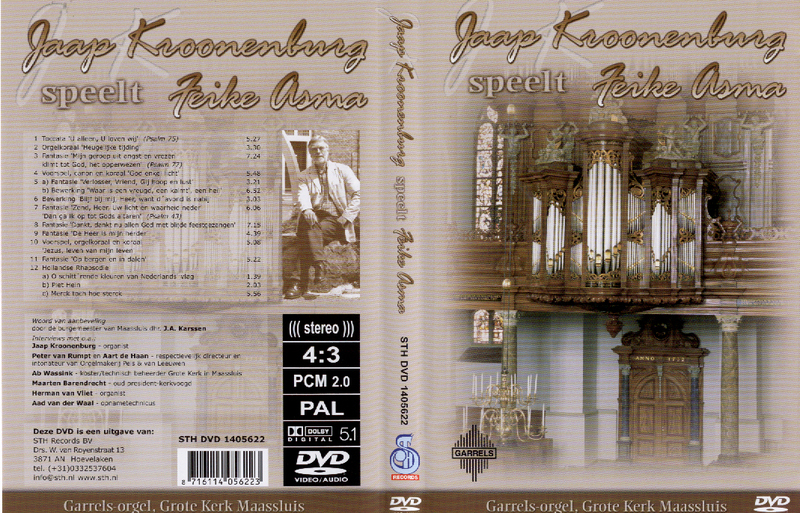 This is NOT a regular Organ Concert but a 30 minute Black & White film from 1965 in which a cat gets lost in the Old Church of Amsterdam while Feike Asma is practicing. The maker of this film, Herman van der Horst, obtained the Technical Grand Prize Special Mention for this film. This DVD is one of the most favourite DVDs of our children. 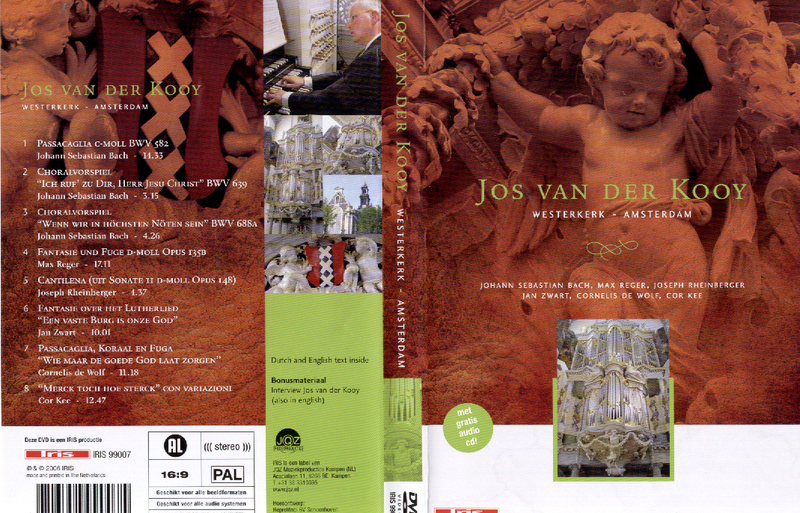 Works of J.S.Bach, G.F. Handel, Jan Zwart, W.H. Zwart, and others. Also includes an audio CD with the same program. Explore the Life and Music of this great composer. This documentary film on Bach takes a close look at his life, the places where he worked, his works and techniques he used when composing, etc. 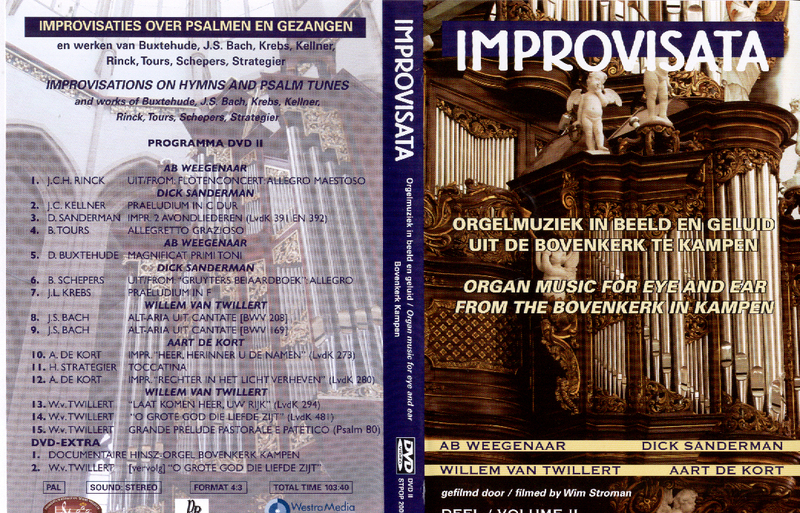 Harm Hoeve, Sander van Marion, Andre Van Vliet, Martin Zonnenberg, Harry Hamer, Wim Magre & Andre De Jager play their own works and music by W.H.Zwart and J.P. Teeuw. With free Compact Disc. 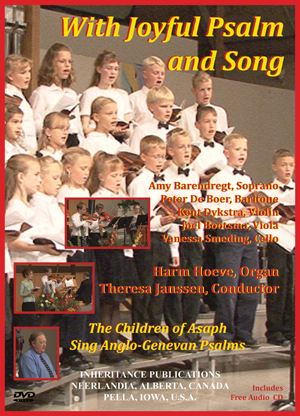 Dutch Choirs and Organists, as well as Noortje Van Middelkoop & Orchestra, Arjan &Edith (Trumpets), and others perform beautiful DUTCH Psalms & Hymns. 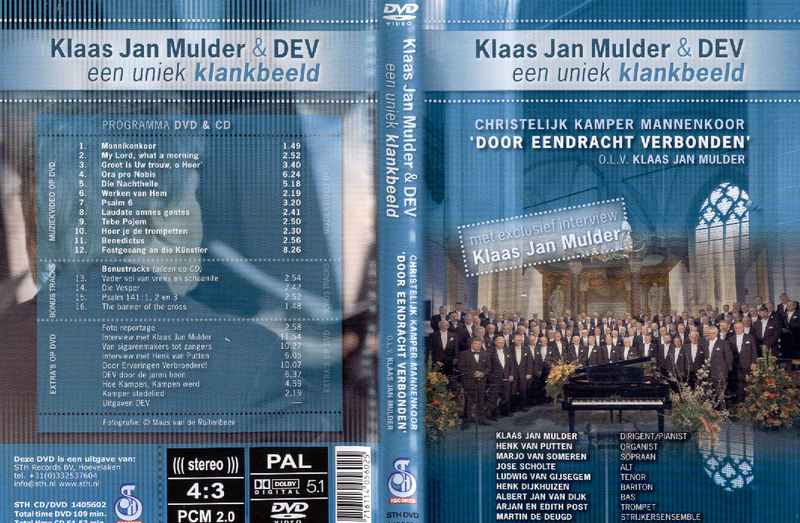 YOU DO NOT HAVE TO BE DUTCH TO ENJOY THIS DVD. It includes many scenes of fishing and sailing and the beautiful town.